Advt No: 01 of 2019. 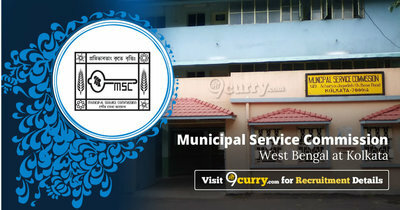 MSCWB Recruitment 2019 - Apply Online for 150 Junior Engineer Posts in MSCWB, West Bengal. Online Applications are invited by Municipal Service Commission, West Bengal from 13 Feb 2019 to 16 Mar 2019 for 150 vacancies. Pay the Examination Fee through all the branches of the United Bank of India and the same to be deposited to Account No. 0088010367936 through Challan generated after submission of Online Application. For Gen/ UR Candidates 21 years to 32 years as on 01 Jan 2019. Diploma in relevant discipline from any recognized Polytechnic/ Institution approved by AICTE with a minimum of 60% marks or equivalent grade with at least 01 (one) year experience in Construction I Supervision I Management I 0 & M after obtaining a diploma. On the basis of Personality Test/ Interview. . Eligible candidates may apply online at MSCWB's website (direct link is given below) from 13 Feb 2019 to 16 Mar 2019. Candidates log on to http://www.mscwb.org/.